Lately it seems like I've been obsessed with Memory Keeping blogs and videos so I took the plunge and created my own! Mine was inspired by Ronnie's blog post - she has a lot of memory keeping ideas that you should definitely check out if it's something that you're interested in. I wanted my memory box to be not just a bunch of random stuff from my whole life, but a collection of things I've accumulated this year as well as future years to come. As far as the box goes - I got three of the A3 boxes - black, blue and grey - that are available at Officeworks for $30 each. Kikki.K also has them for the same price so just go wherever is closest or easiest for you. The box size is perfect for me - if it were any bigger it would be hard to store and if it were smaller it wouldn't fit everything and I wouldn't have room for it to grow. I think I'm going to put together a box for my childhood and a box for my school years with the two spare ones I have but my priority this month was this memory box. 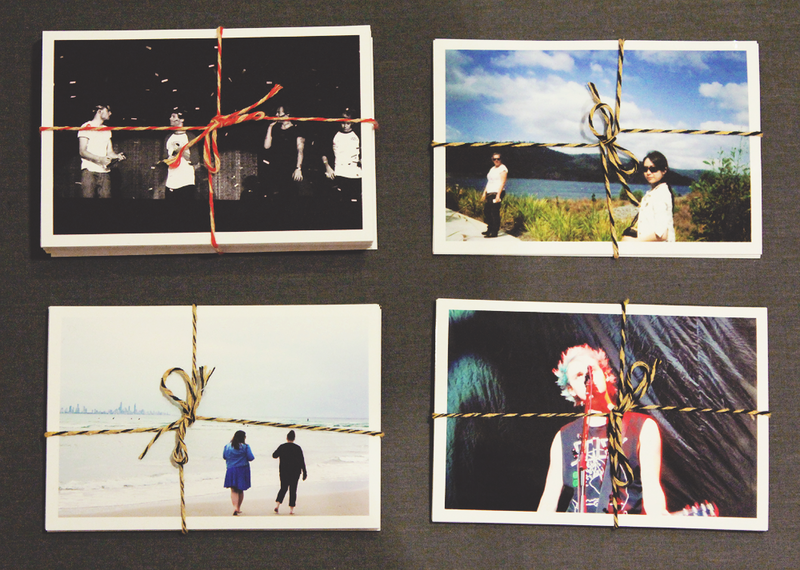 I decided to tie up my bundles of photos and cards with string in groups so if I'm ever trying to find specific photos I can. 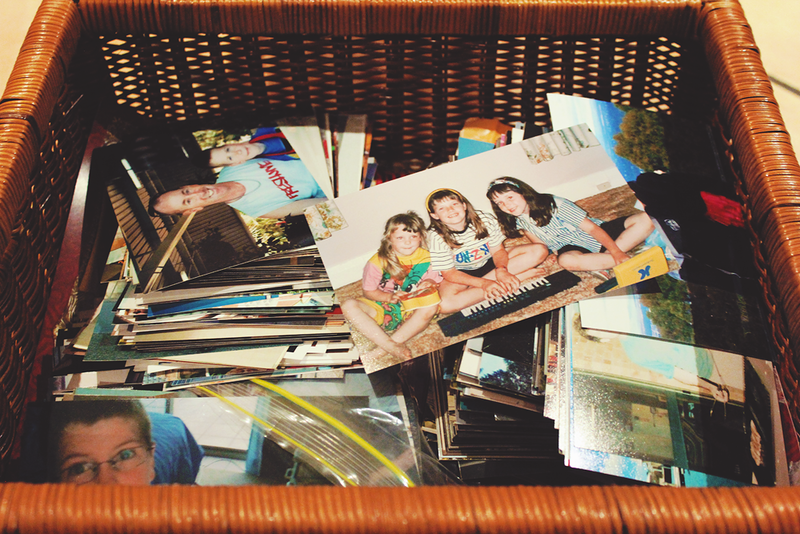 I keep almost every photo I take in albums but these ones are more sentimental for the time that the box encapsulates - in this case, it's my twenties. The next step was to print out my Instagram selfies and what not. I don't take a lot of photos of myself and have hardly any from the last 10 years or so but when Instagram came out I liked the control I got over pictures of myself. There's nothing worse than going on Facebook and seeing that you've been tagged in a hideous picture of yourself. I searched a couple of places to figure out where I should get my prints from and ended up deciding on Kikki.K. I wrote my own captions on the prints - although they aren't the best quality, they did handle the pen really well which is something my prints from Printstagram don't do. 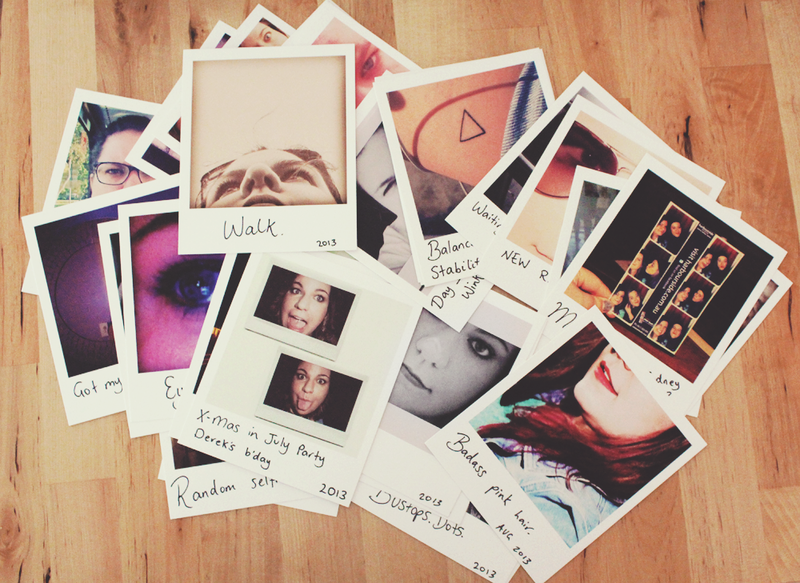 My favourite thing about these Instagram prints is that I'll be able to look back at 2013 and remember my Sydney trip, that it was the year I got my tattoo, started exercising properly, got my Instax camera and so much more. You do forget those things over the years and it becomes a little bit hazy. All of our photos are currently stored in boxes like this one - I'm going to slowly make my way through all of them and sort us out! 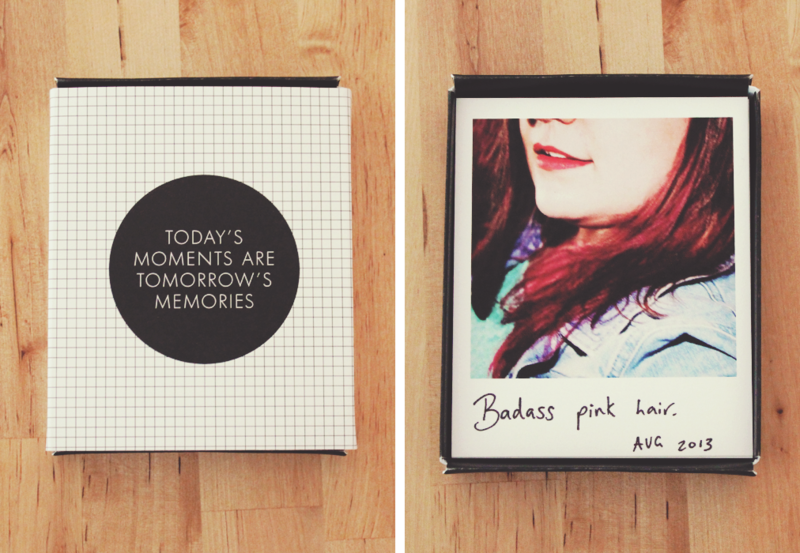 I absolutely love the way my memory box has turned out and I'm going to continue them into the future. Let me know what your memory keeping tips are - I'd love to hear them! Also I'm going to visit my cousins in another state this month so I won't be online until next Thursday but I'll be back then with a full report on my trip! 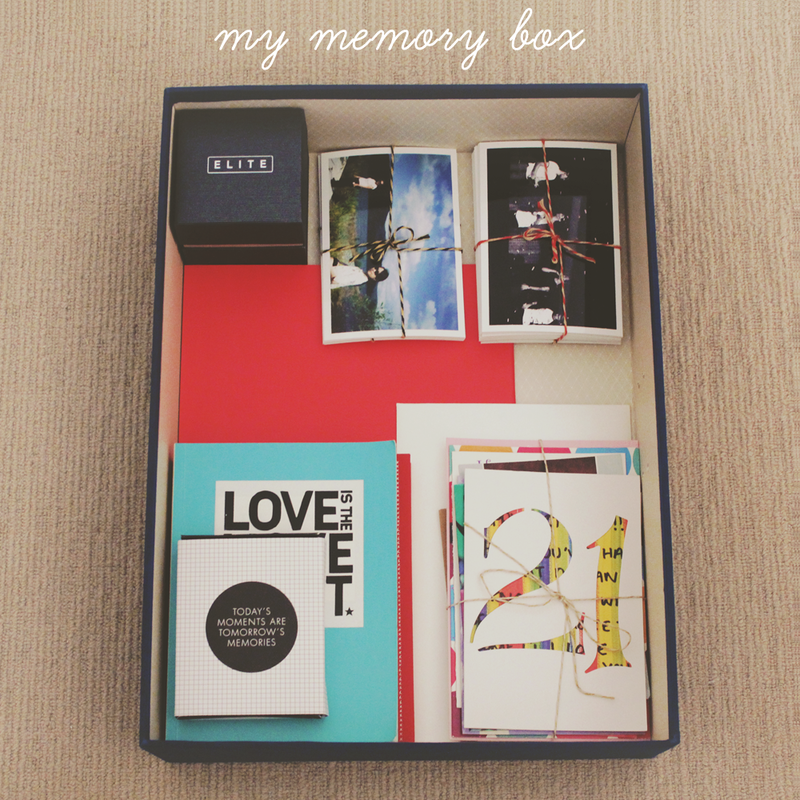 It's always lovely to preserve memories, love what you did with organising them! Wow this is such a nice idea! I didn't know Kikki K did instagram prints now. The closest thing I've done to this is do a massive cleanout/print of all the digital photos on my computer, because they get lost and forgotten so easily when they're just computer files. I was really excited when I saw the email to say that they were doing them but honestly the Kikki.K quality isn't the best so I do recommend getting them from Printstagram. wow, how fun! i want to make one now. i didn't see this post of ronnie's, but i read her blog fairly often and she always has great photography and great ideas. i love your instagram prints! What a great idea! Now if I can just get around to having some of my photos printed. This is such a wonderful idea! I use this similar concept for my travels and souvenirs. That's a great idea, Michelle!